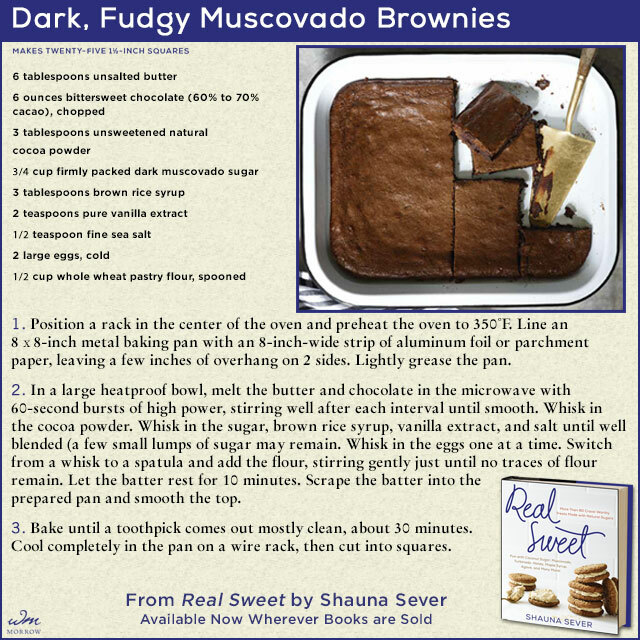 We know there’s nothing better than a chocolate snack at the end of the day, and currently we’re obsessed with these Dark, Fudgy Muscovado Brownies from Real Sweet by Shauna Sever. Real Sweet is a modern baking book packed with dozens of recipes for delectable treats using only natural, unrefined, readily available alternative sweeteners. Written in Shauna’s fresh, modern, and charmingly funny style, Real Sweet showcases the rich, nuanced flavors of these amazing less-processed sugars. Purchase your copy of Real Sweet today! ← The Food52 Cookbook by Amanda Hesser and Merrill Stubbs is $1.99!